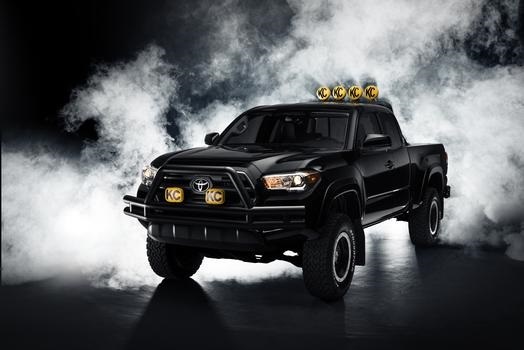 If you haven’t heard already, Oct. 21, 2015 was the famous future date in “Back to the Future, Part II,” and to commemorate the popularity of the movie, Toyota announced a cool concept Toyota Tacoma vehicle on the actual date. Another reason Toyota did this is because the Tacoma was character Marty McFly’s (played by Michael J. Fox) dream truck in the movie. 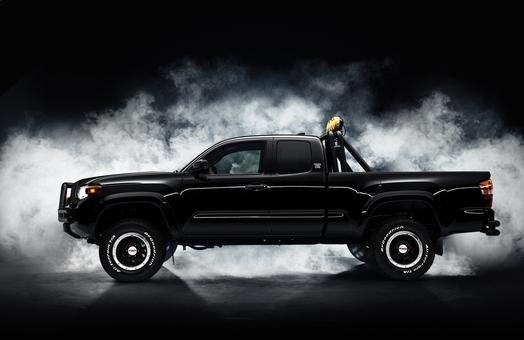 The movie-inspired Tacoma was only viewable on Oct. 21, 2015 in the New York, Los Angeles, and Dallas areas, but this truck should cause quite a stir for the forseeable – dare we say it? – future, and who knows? It just might inspire a new mass production of Toyota Tacoma Back to the Future concept vehicles in Brampton ON. Please note: The top photo is of a 2016 Tacoma, and the bottom two images are of the movie-inspired Tacoma. The Toyota Tacoma brand has long been synonymous with versatile power. It’s a truck that comes ready to tow loads while also offering solid fuel economy for a vehicle its size. Plus there’s nice alliteration with the two T’s in Toyota Tacoma. But what the 2016 Toyota Tacoma brings to the table is 12 litres of fuel used / 100 km in the city and 10 litres of fuel used / 100 km highway for base models, and a towing maximum of 2,948 kg (6,500 pounds) in its 4X4 Access Cab V6 SR5 model option. The “Back to the Future” model comes packed with extras like custom 1985 Toyota Truck exterior paint, 1985 Toyota Truck mud flaps, custom front and rear tubular bumpers, and a custom tailgate with the famous “TOYOTA” logo. When you add that to the 2016 Tacoma’s power output that tops out at a robust 278 hp and its nice towing ability, you’ve got a vehicle that will turn heads well into the, ahem, future. This special Toyota Tacoma will likely never be available for sale on the Attrell Toyota lot, but perhaps one of the limited edition models will come for a visit sometime. At the very least, “Back to the Future Day” has raised awareness for the rough-and-ready Tacoma’s nice blend of power and towing capacity while also remaining at an affordable retail price. Attrell Toyota is located at 110 Canam Crescent, Brampton, Ontario, L7A 1A9, and we have plenty of Toyota Tacoma models, as well as other trucks like the Toyota Tundra, in stock. We serve the greater Mississauga and Toronto area as well. Please contact us at 905-451-7235 or come visit us today to see our cars or to take one for a test drive.